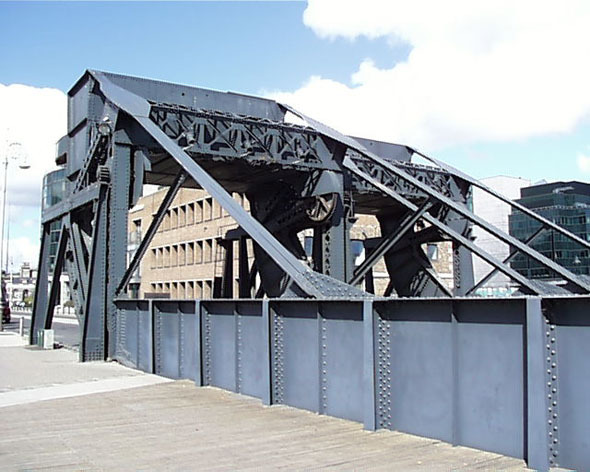 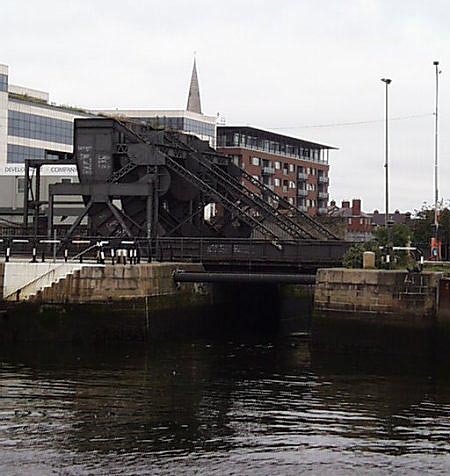 Built to allow water based traffic to access the Royal Canal and Spencer Docks, these unusual bridges are also designed to keep seawater out of the docks. 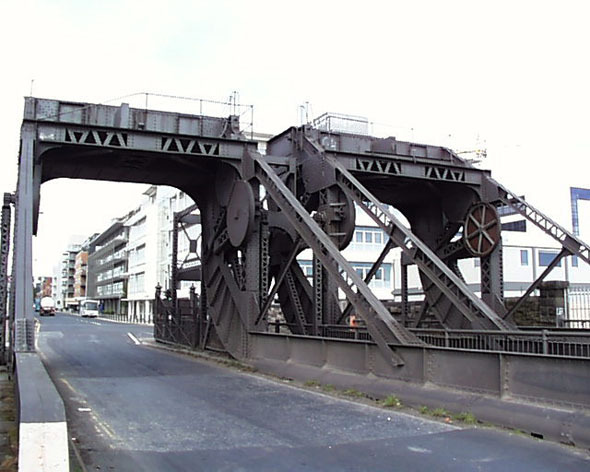 No longer operational due to the removal of their diesel engines and their roadway surfaces, they could stop traffic, allow a ship through and close again in four and a half minutes. 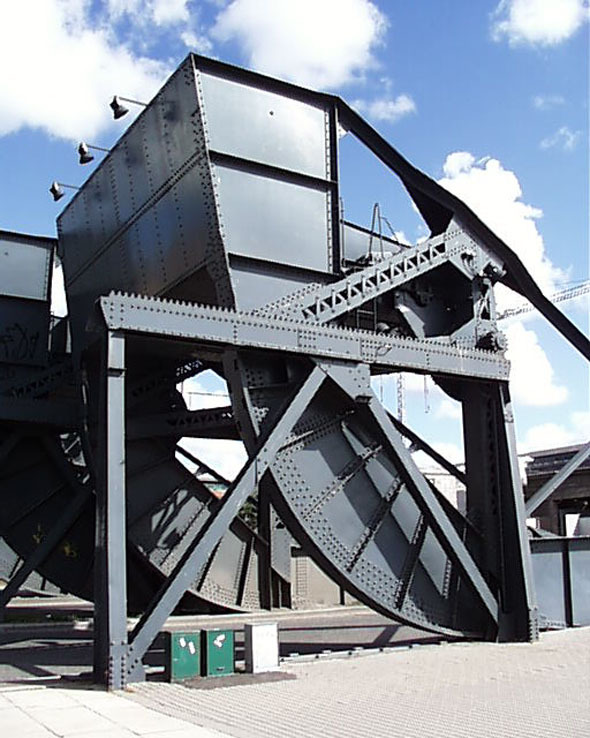 Now they serve as a reminder of the industrial past of the area.